Scratch rockin' designs off assorted acoustic and electric guitars. 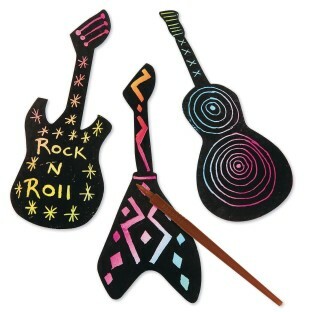 Finished sizes are between 7" to 9"L.
Scratch rockin' designs off assorted acoustic and electric guitars. Includes reusable scratch tools. Finished sizes are between 7" to 9"L.